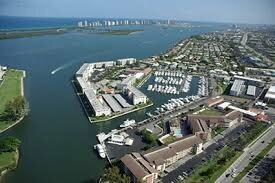 The Village of North Palm Beach is located just 9 miles north of West Palm Beach and the Palm Beach Inlet. It features an abundance of waterfront homes with beautiful views of the Intracoastal Waterway. North Palm is a haven for larger yachts and boats with the access to deep water dockage because it is located within close proximity to the Palm Beach Inlet and multiple marinas, North Palm Beach is highly popular for boaters and fishermen. Many homes within the area offer such amenities as heated waterfront pools, Jacuzzi, private dining, and plenty of nearby shopping. BELOW are All North Palm Beach Homes. Click here to view North Palm Beach Waterfront Homes, Click here to View All North Palm Beach Condos. or to View North Palm Beach New Construction or View North Palm Beach Land and Lots.